I often have difficulty sleeping well while traveling. Whether I’m jet lag, wired, or in strange surroundings sleeping strange bed, sleeping is hard. At one point in my traveling career, my hotel insomnia became so bad that I had to do something. So, after seeing my doctor, I did some research. My research findings make common sense, while others are quite surprising. Some of my conclusions are below which you can try if you have trouble sleeping in hotels. Please understand, I’m not a medical expert, and I don’t pretend to be one. If in doubt, consult with your doctor. Drinking alcohol before bedtime interferes with your sleep patterns. Just having two drinks before bed is enough to put you to sleep. But you miss out on the first stage of sleep, REM sleep. As the alcohol starts to wear off, you come out of the much needed deep sleep and into REM sleep. REM Sleep is much easier to wake up from explaining why most people get up early after a night of drinking. However, because you’ve only gone through one or two sleep cycles and not the usual six or seven, you don’t wake up feeling refreshed but may feel exhausted instead. A small gland in the brain called the Pineal gland produces the Melatonin hormone. The Penal Gland and Melatonin are a part of your body’s own internal clock system regulating wake and sleep time. Light affects the amount of melatonin your body produces, the more light, the less melatonin produced and the more awake and alert you are. But as sunlight dims down at sunset, melatonin levels in your body rise indicating to your body’s origins it’s time to rest. You can buy melatonin supplements from some vitamin stores. People who travel across different time zones on a regular basis use melatonin to help adjust body’s internal clock to the new time zone helping them overcome jet lag. It is not a sleeping pill, so don’t use it as such! Taking it once in a while is okay and effective. Avoid high color temperature light at bed time (light with a lot of blue in the spectrum). I just talked about Melatonin and how your internal body clock uses it to regulate wake and sleep cycles. It turns out that the ultraviolet and blue light spectrum present in daylight sequesters the production of the melatonin hormone by the penal gland. Nitrogen and Oxygen are the two main gasses that make up Earth’s atmosphere. The molecules of these two gasses scatter the ultraviolet and blue light rays away from direct sunlight and making our sky appear blue during the day. But as the sun sets, the sun’s direct light has more of earth’s atmosphere to pass through and therefore more ultraviolet, and blue light is scattered away from direct sunlight making the sun appear dark orange to red in color at sunset. Because of the absence of blue light, our brain tells the penal gland to start producing Melatonin. The problem is artificial lighting! 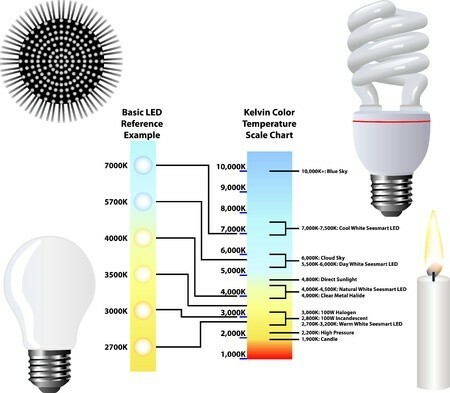 High color temperature artificial lighting (between 4000K to 6000K) such as high-intensity discharge lighting, some fluorescent lighting, and bright white LED lighting contains a lot of the blue light spectrum which can tell your brain to stop producing melatonin interfering with your sleep and wake patterns. Avoid high color temperature lighting close to bedtime and aim for low color temperature light between 2500K and 4000K that has a yellow tint to it. Incandescent light bulbs are low in color temperature. You can also buy low color temperature compact fluorescent light bulbs and LED light bulbs. These light bulbs are slightly more expensive than the higher color temperature fluorescent and LED bulbs. Other sources of high color temperature lighting include TV and computer screens. So it goes without saying these should be avoided too close to bedtime. 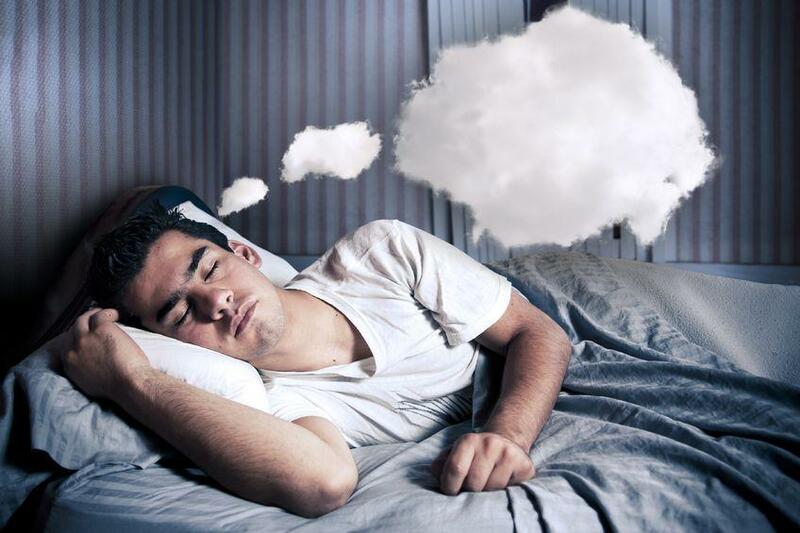 As you sleep or try to fall asleep, your brain is still processing sounds albeit on a basic level. Using a white noise machine or listening to soft relaxing music serves as a muffler to background noise such as slamming doors and people talking in the next room. If you travel with a smartphone as I do, you can buy and download a white noise MP3 file or relaxing music and sounds from Amazon. Lavender is a flowering plant in the mint family. Its aroma has been shown in human studies “to slow down heart rate, moderate blood pressure and put you in a relaxed state,” says University of Miami School of Medicine scientist Tiffany Field, who has studied the effects of lavender on relaxation and sleep. I carry around in my toiletry bag a small bottle of lavender spray I purchased from Temple Spa. Although expensive it lasts a long while. When I’m struggling to sleep in my hotel room, I spray a small amount of this lavender oil on my pillow to help relax me and go to sleep. One thing I have found is that when it comes to room temperature at night, we are all different. I’m even different depending upon the temperature outside during the day. On a hot day, I prefer a cooler room at night around 68°F (20°C). But if it’s cold outside the opposite is true, and prefer a warmer room at night of around 74°F (23°C). The one big thing I found with hotel room temperatures is that the room thermostats are not always accurate. I am fortunate in being a Metrologist as I carry a small thermometer in my tool kit. Often I get this thermometer out to check the temperature in my hotel room and adjust the room thermostats accordingly. If I’m unable to get my hotel room warm enough during the winter, then I sleep with a pair of socks on. Cold feet keep me awake at night.